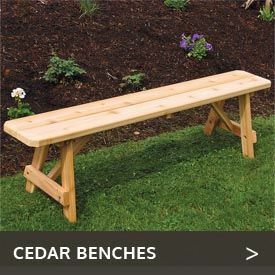 Get more rest and relaxation with the cool, comfy Cedar Log-Style Swing Set available with free shipping from Cedarwood Furniture. 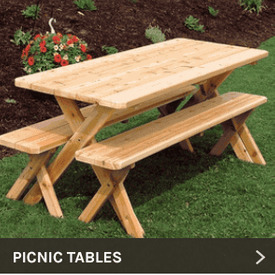 Whether relaxing on the porch or anywhere else you set it up, you, your friends and family will have a swinging good time with the Cedar Wood Log-Style Swing Set from Cedarwood Furniture. 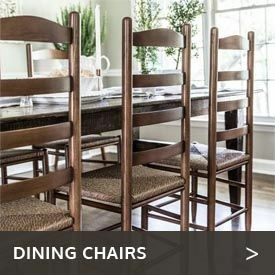 This handsome swing features classic Adirondack styling and a cool, slatted seat and back that everyone will really appreciate when the weather’s hot. For extra comfort, consider adding comfy cushions in your choice of cool colors.  Rust Resistant Coated Hardware and chain set. 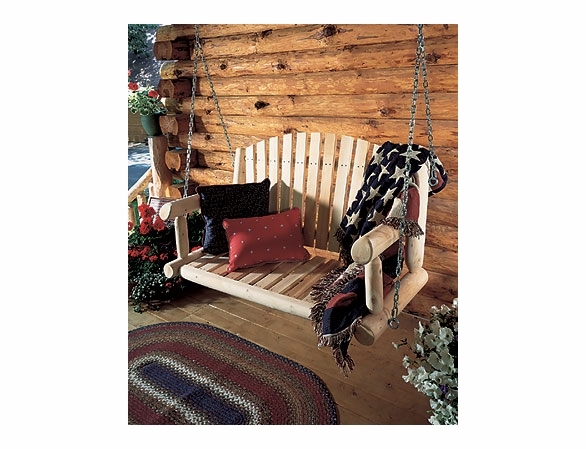  This Log style porch swing is rated to hold 750 pounds.